Suzuki has outsourced its company car management to BCA as it looks to drive its fleet presence. The carmaker is on track to almost quadruple its fleet sales this year following the appointment of Graeme Jenkins as head of fleet at the start of 2017 and a new fleet team and strategy. 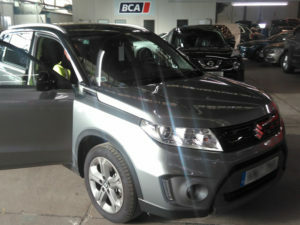 Now Suzuki has appointed BCA Fleet Solutions to provide handover and vehicle collection services along with the defleet and refurbishment. The contract makes use BCA’s interactive platform, iSight, providing real-time transparency of processes, inventory data and online authorisation to drive stock management efficiency. The vehicle delivery is made by a handover specialist who is trained on the key aspects of each vehicle. The contract will provide a flexible and efficient service that ensures vehicles are prepared to an exacting standard, and can also expedite remarketing at the end of the contract.